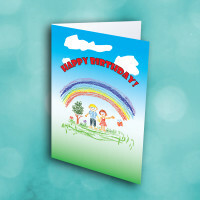 Share some birthday greetings with this sweet birthday greeting card. 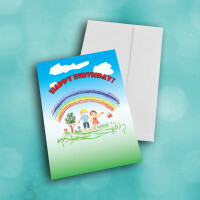 Send your birthday wishes with this artistic, joyful birthday card. 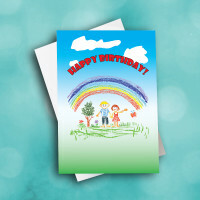 The heartwarming scene on the front features a little boy and girl linking hands, surrounded by peaceful nature and a rainbow. 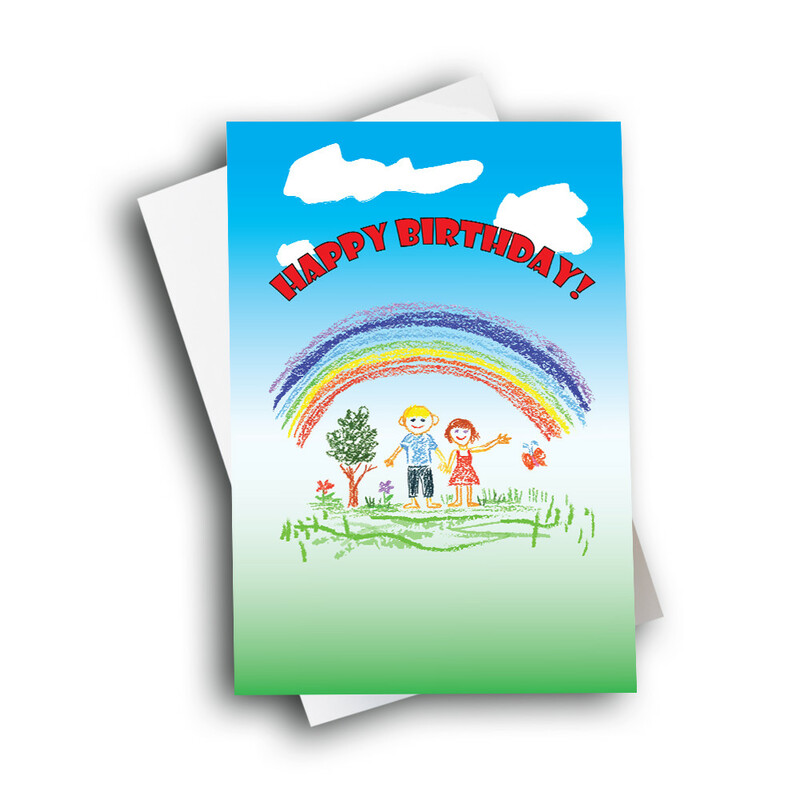 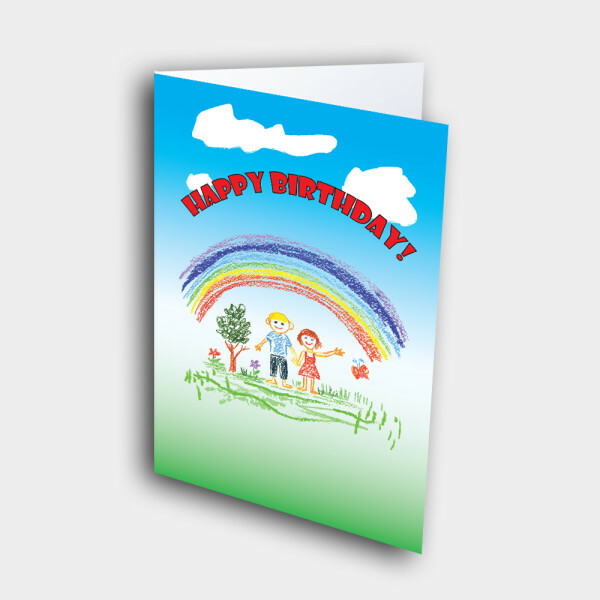 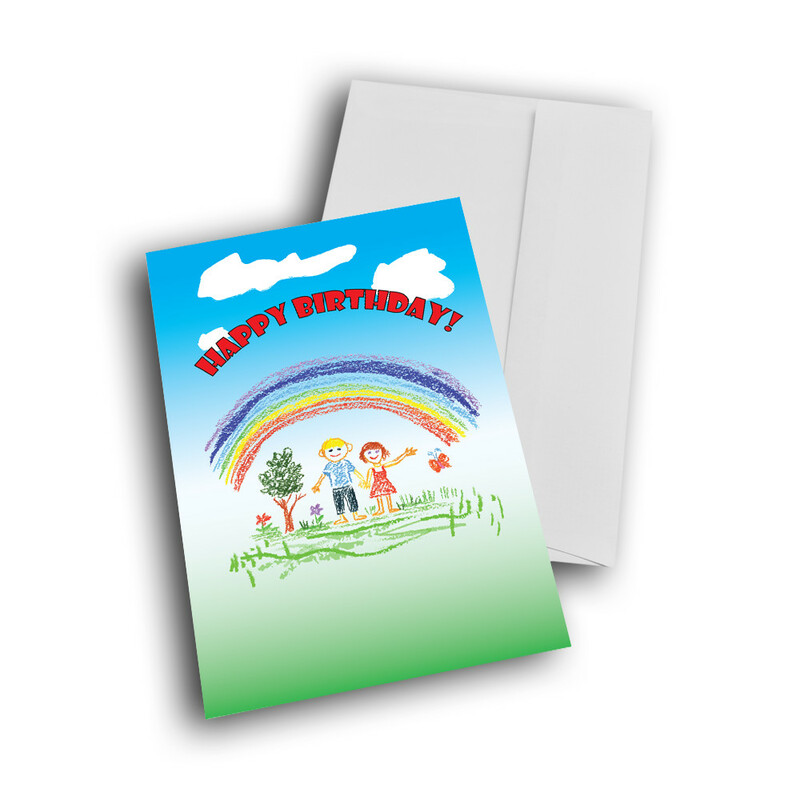 The bright birthday greeting is curved across the cloudy sky, and the crayon art style gives the card a child-like, friendly charm. The message inside can be customized to make this a unique birthday card.